The food world is abuzz with the promise of transparency. Radical transparency. Authentic transparency. Trust-building transparency. The promise comes in many forms – from clear packaging to ethical corporate engagement, “clean” ingredients panels, supply chain traceability, hand held scanning technologies that can tell you “what is really in your food,” video tours taking consumers inside production plants, and real life opportunities to “see for yourself” where your food comes from. What is the problem that transparency seeks to solve? What is transparency? And can it solve those problems? Transparency is the food industry’s answer to consumer concerns about processed food and the industrial food system that produces it. It’s a version of the same ethos that has animated much of the alternative food movement, which has to a great extent sparked and informed consumer demand for changes throughout the food system. Within the alternative food movement “lifting the veil” that has kept industrial food production processes hidden from consumers is understood as a political process that empowers consumers to make informed, values driven choices about what to buy and eat. Farmers markets and community supported agriculture, for example, are meant to foster the direct connections between consumers and “where their food comes from” that have been abstracted and attenuated (if not intentionally obscured) by the mainstream food industry. The metaphor of “lifting the veil” implies that beyond deceptive appearances there awaits a truth waiting to be revealed. In reality, beyond one story about “where your food comes from,” lies another. As scholars of alternative agri-food systems have shown, farmers markets (for example) don’t simply reveal the reality of where our food comes from, they create new stories,“imaginaries” which obscure, reveal and construct particular understandings and affinities. The food industry’s transparency mantra borrows from this ethos, responding to a broad array of consumer concerns about processed food and the system that produces it with offers of “truth” about what is in our food and where it comes from that are meant to align with consumer values and, therefore, build trust. As a communication strategy, transparency is informed by social science understandings of consumer behavior. In this sense, transparency – in its many guises – represents a distinctly different mode of engagement from attempts by the food industry to dismiss consumers’ “irrational” concerns in a barrage of facts about the benefits and safety of “modern food processing.” Rather than simply throwing facts at “misinformed” consumers, transparency initiatives recognize the complex social, cultural and psychological environment in which the “facts” about food exist and use empathy combined with effective story telling to build – or rebuild – trust. Honesty should be the foundation of trust building through transparency. I don’t mean honesty within transparency (that would be redundant; the whole point of transparency is to tell a story that resonates as honest) but rather honesty about transparency. Transparency is a construct. I don’t believe that there is a single, knowable truth about “where our food comes from” but even if there were, there would be no veil that could be lifted to reveal it. If we were to simply throw open the doors of the barn, field, factory, laboratory, boardroom or regulatory agency (etc.) there would be too much information for anyone to make sense of. A transparency strategy – whether it involves front of package labeling, online illustrations of processing technologies, DNA barcoding, or video taping plant operations – hinges on deciding (consciously or not) what kind of information matters. Optimistically, transparency is a space in which a meaningful negotiation about what matters can take place. Cynically, it’s a marketing strategy that takes the psychology of consumer concerns seriously without taking seriously what consumers are concerned about. The difference may hinge on honesty – among all parties – about what “transparency” really is and does. This entry was posted in Food Industry and tagged agri-food system, authenticity, consumer politics, packaging, processed foods, transparency. Bookmark the permalink. 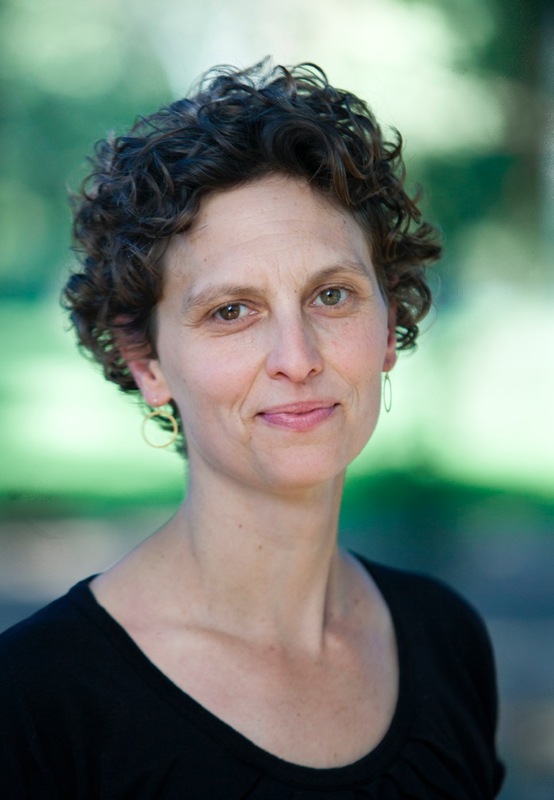 Charlotte Biltekoff is Associate Professor of American Studies and Food Science and Technology at the University of California Davis, where she builds bridges between scientific and cultural approaches to questions about food and health. She is author of Eating Right in America: The Cultural Politics of Food and Health (Duke University Press, 2013), an exploration of the social and cultural dimensions of dietary advice and the changing meaning of “eating right” over the course of the last century. Her current projects include an in depth analysis of current concerns, conflicts and conversations about “processed foods.” Biltekoff serves on the Advisory Committee for the UC Davis World Food Center, the Executive committee of the UC Davis Robert Mondavi Institute for Wine and Food Science, and the editorial board of Gastronomica: The Journal of Critical Food Studies. She teaches many classes about the cultural aspects of food and eating, including “Food in American Culture,” a large enrollment introductory course, and “New Product Ideas,” in which students learn about the relationship between social trends and product trends, conduct consumer research, and develop and pitch concepts for new food products.